burial cremated on .... at Père-Lachaise, Paris. 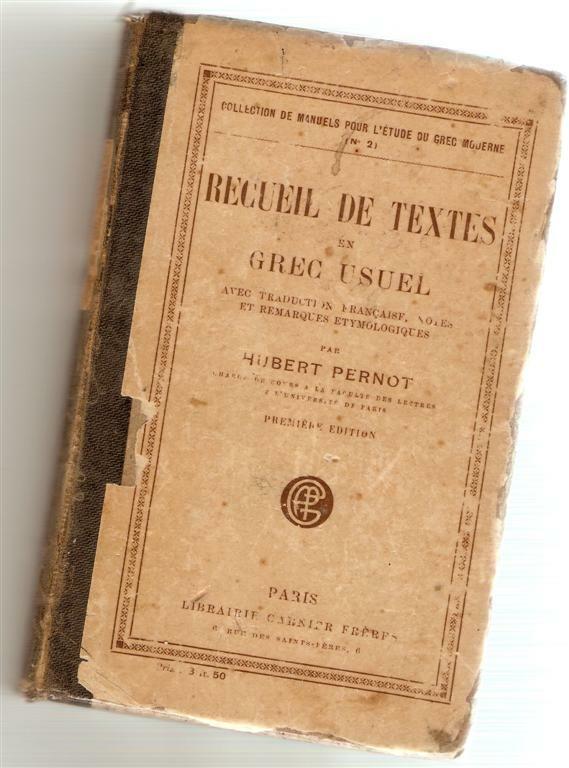 "Hubert PERNOT, born in a rural French village, became a scholar of world renown - a Doctor of Greek literature and professor of Modern Greek at the Sorbonne in Paris (University of Paris), and a director of the Institut de Phonétique and the Archives de la Parole (later called the Musée de la Parole et du Geste) at the Sorbonne. The core of the modern Library of the Neohellenic Institute at the Sorbonne is composed of his personal library and that of Emile Legrand, his mentor and coworker, which he had purchased after the latter's death. Over the course of his life Hubert authored over 40 books and numerous articles in professional journals. 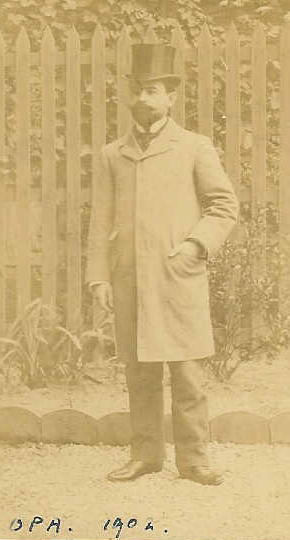 After his mother left for Greece when he was age six, Hubert was apparently raised by his paternal grandmother, Rosalie BOUFFORT. 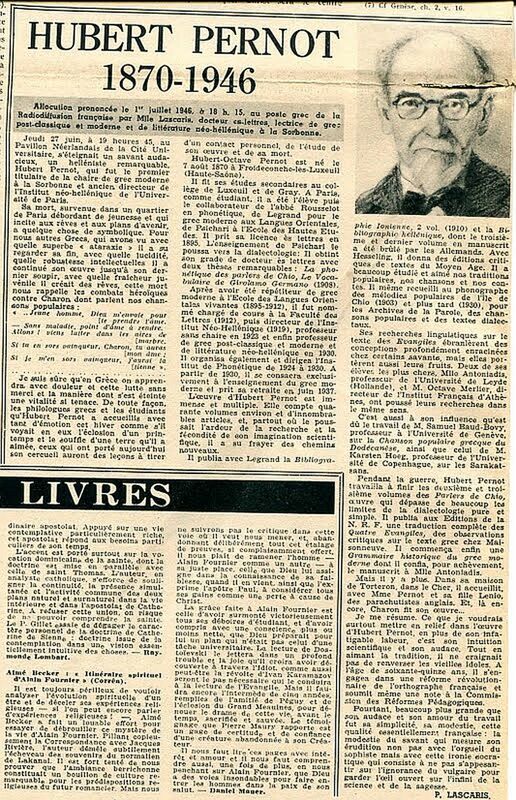 He attended secondary schools at the colleges of Luxeuil and Gray in Haute Saône, and left at age 18 to take advanced studies in Paris where he later obtained a License-ès-Lettres in 1895 and Doctorat-ès-Lettres in 1908 from the Sorbonne. He was apparently a brilliant student, but lived at near poverty level; his letters to his mother in Greece frequently included requests for money. 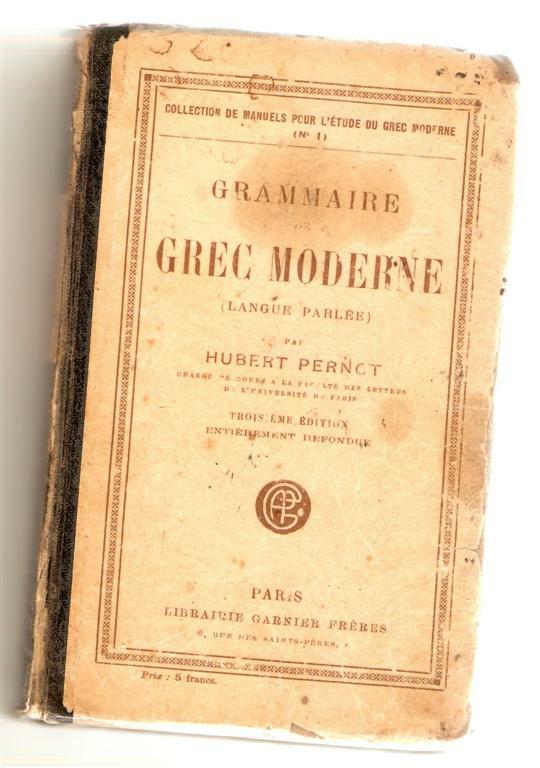 Hubert PERNOT was an exceptional scholar of modern Greece with an extensive collection of work, both as scholar and author, who was closely linked to Greece and to Greek developments of his age. He was also a pioneer in the area of sound recording in the field for the purpose of conserving examples of voice and music. In 1898-99, he made two voyages to the island of Chios, during which, using an early Columbia recorder/reproducer of gramophone cylinders (predecessor of disc records), he recorded in the field the music of many of the island's traditional folk dances and songs. Some of these works were put to musical score by the composer Paul Le Flem and then served as the basis for the Cinq Mélodies Populaires Grecques (1906-1909) of Maurice Ravel. Taking advantage of a partnership at the Archives de la Parole with Emile Pathé, who provided engineers, equipment and an unlimited supply of records, Hubert traveled to Romania in 1928 and recorded traditional folk songs in the field there, and did the same in Czechoslovakia in 1929. In 1930, at the invitation of the Greek government, he spent 3 months in that country recording traditional folk music in the field, after which he returned to France with almost 200 78 rpm records he had produced. He also recorded, in collaboration with Pathé, over 500 examples of native music, songs, and dialects from various French colonies in Africa, Asia and the Pacific for the 1931 International Colonial Exposition in Paris. A restless and daring thinker, Hubert was also one of the first to believe in the power of photography, which he used to document his research, as well as to raise interest about Greece in the French public. 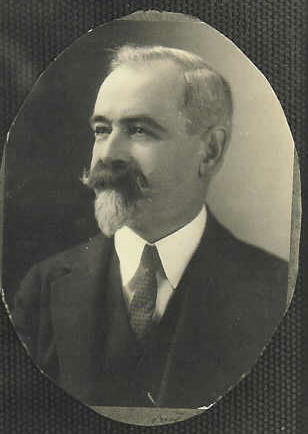 He traveled throughout Greece in the late 1890's and early 1900's, selecting topics to photograph that together compose a unique record of the landscape and its inhabitants from 1898 to 1913. This collection of photographs is also maintained at the Library of the Neohellenic Institute at the Sorbonne. 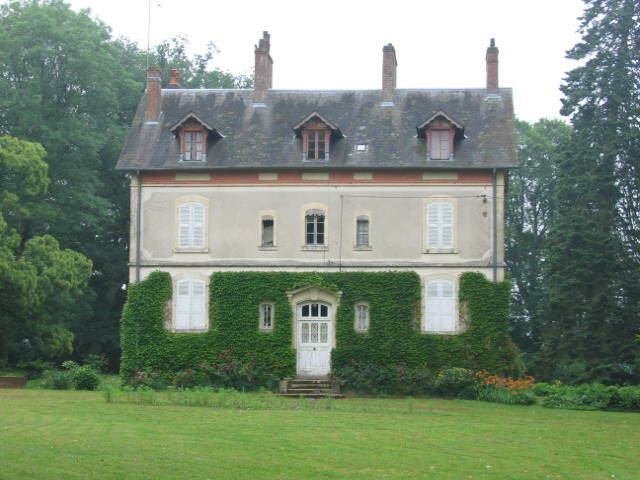 Hubert retired in 1937, but continued to write at home in Torteron, France. During World War II, he and his family hid a number of downed English pilots and crewmembers in their home in Torteron and facilitated their escape and return to England. 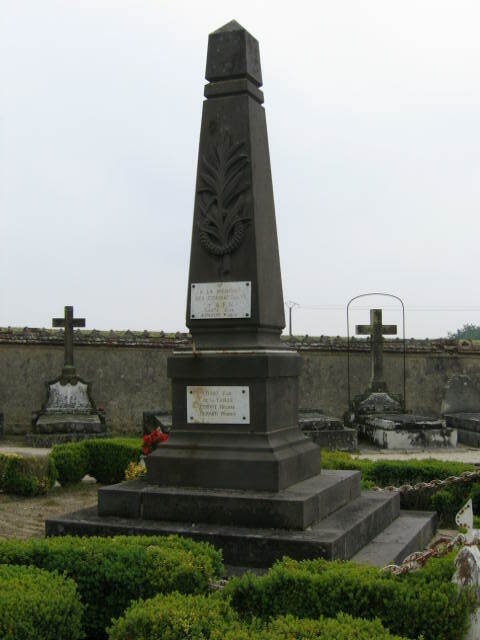 His daughter Lénio was an active member of the French Resistance in the area around Torteron who was eventually arrested by the Nazis and killed by them in Ravensbruck Concentration Camp shortly before the end of the war." 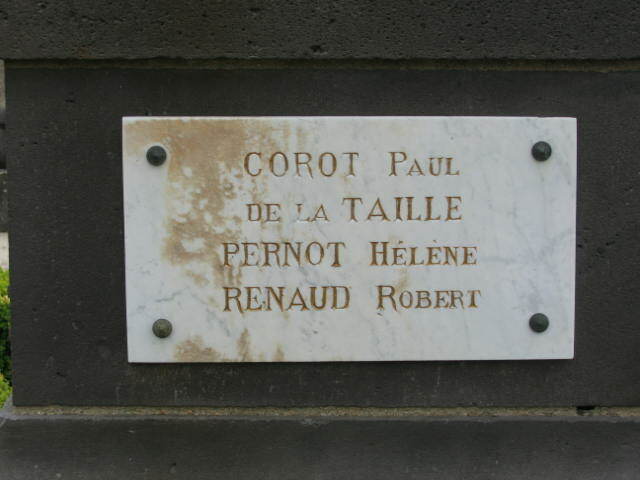 Plaque on War Dead Memorial at Torteron Cemetery commemorating the death of Hélène Pernot in 1945 at Ravensbrück, Germany.